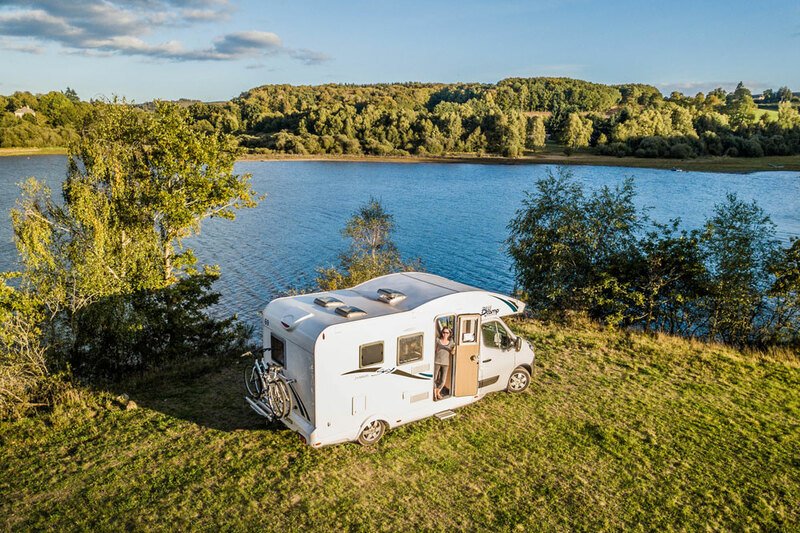 In the same way that cars acquire labels – a “hairdresser’s car, a salesman’s car”, motorhomes generally become classified too – a “family motorhome, a couple’s motorhome” but the Blucamp Sky 20 is tricky to categorise because it is a true all-rounder. At 6.61 metres long and 2.94 metres high it’s compact and low profile yet it has seats/seatbelts for six people and sleeps that number too. The compact dimensions and a fixed double bed at the rear make it an ideal choice for couples taking longer term trips but the drop down bed adds the sleeping space for small families or two friends where a couple of double beds are needed. The key point here is that the second double bed simply drops down from the ceiling so you don’t need to dismantle the dining area each night to use it when using sleeping four and you can even leave the bed made when not in use. The vehicle has a third double that you can make up from the dinette too so for brief visitor stays it will accommodate six. • Great features included in the price such as three roof vents, bike rack, good quality central heating, fridge/freezer that works on gas/12v/220v, electric step, alarm system, good capacity waste and water tanks. 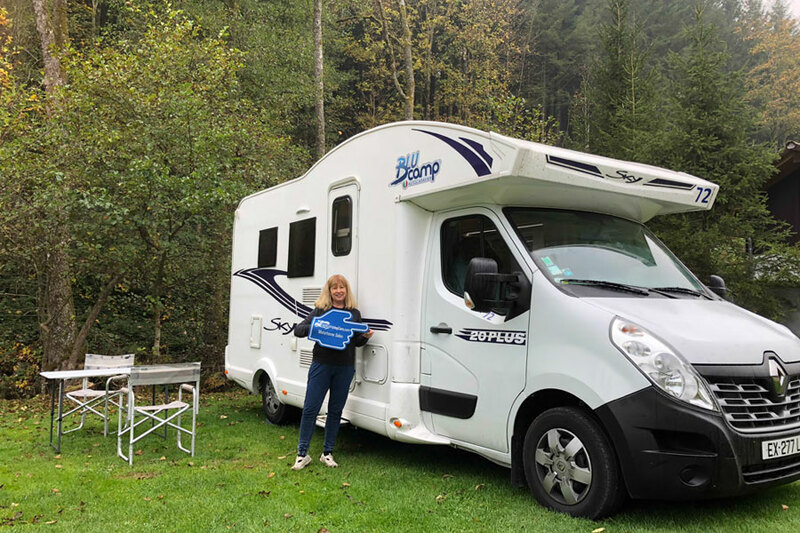 There is a great deal to like about this flexible, well designed motorhome and all those which started life with a season or two on our rental fleet have enjoyed a second career touring Europe with our overseas clients who have loved them too. 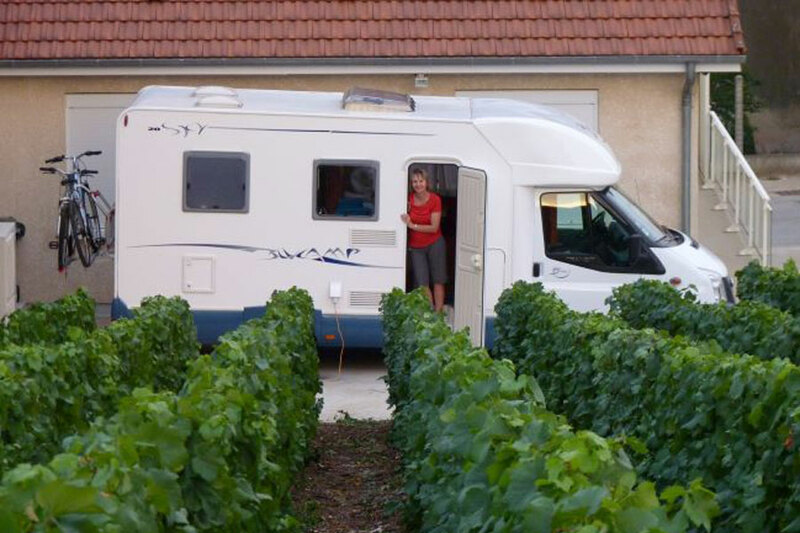 If you are struggling to narrow down your criteria and decide on the best vehicle for your European campervan adventure but want to simply get on with it now, we highly recommend the Sky 20. It is great for couples or small families but will accommodate visitors with ease and serve you well wherever you travel to. Resale values and demand are great too so it will sell easily when you finish your trip. At present we have several 2017 and 2018 ex-rental Sky 20s for sale, ranging in price from €37795 to €42995 plus a 2012 model at €26450 on brokerage sale. You can see photos, specifications and prices for each here. As main concessionaires for the Blucamp range, we can also supply brand new Sky 20’s from as little €52,495 including all taxes. *Specifications may differ a little from those listed above as they apply to the 2017/18 Sky 20“S” models we have for sale.